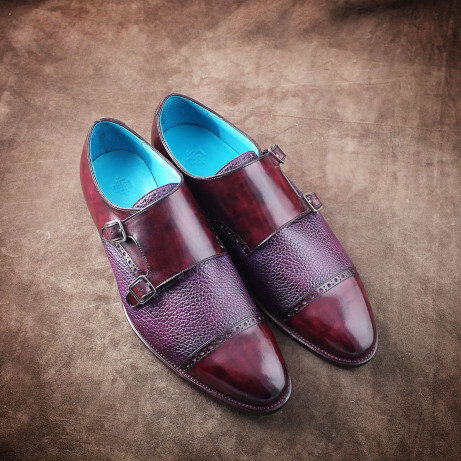 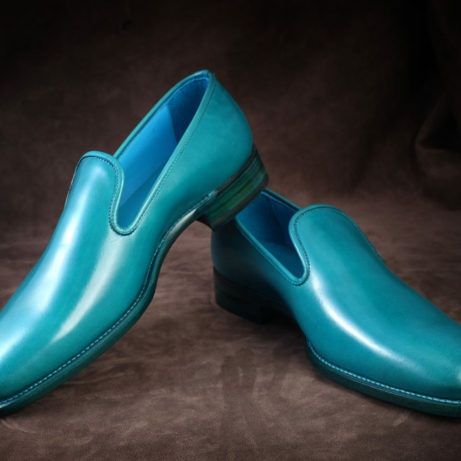 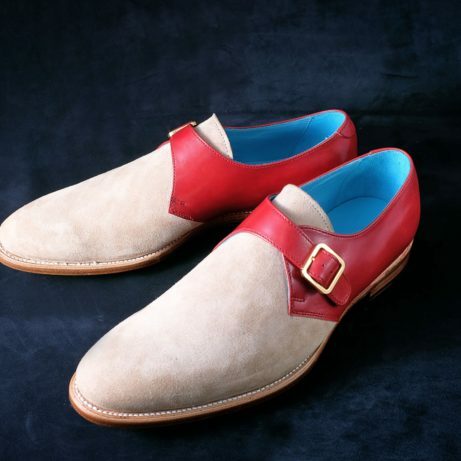 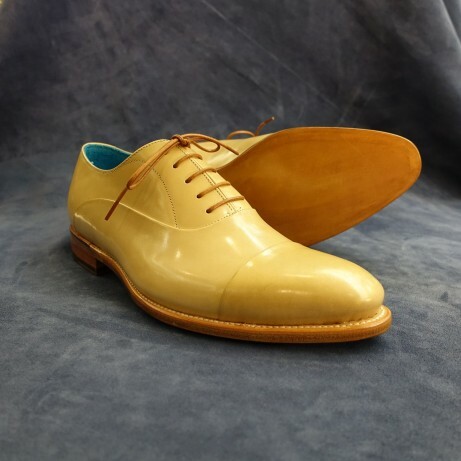 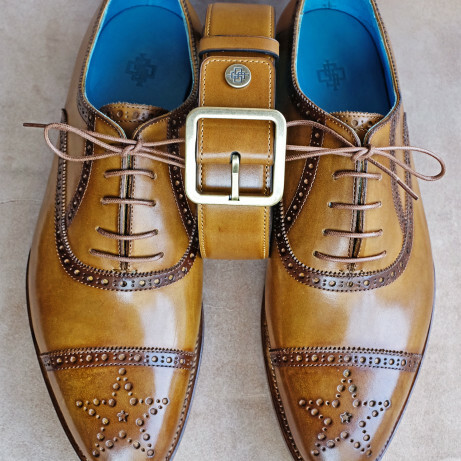 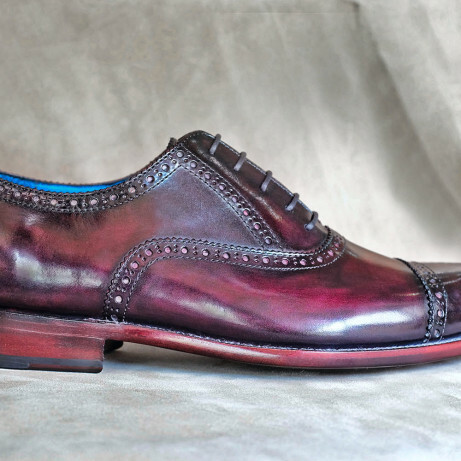 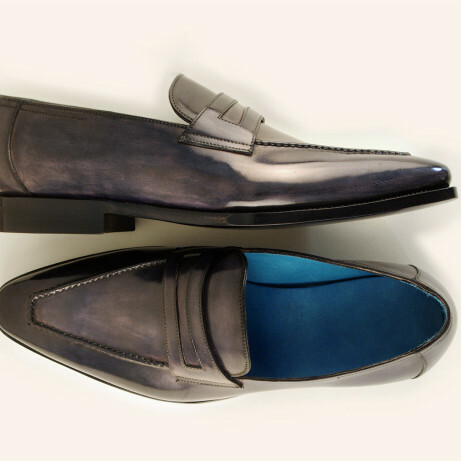 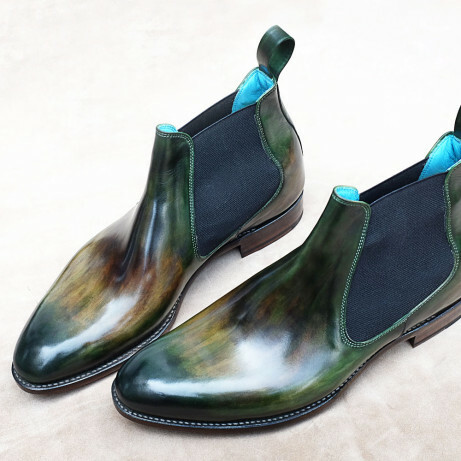 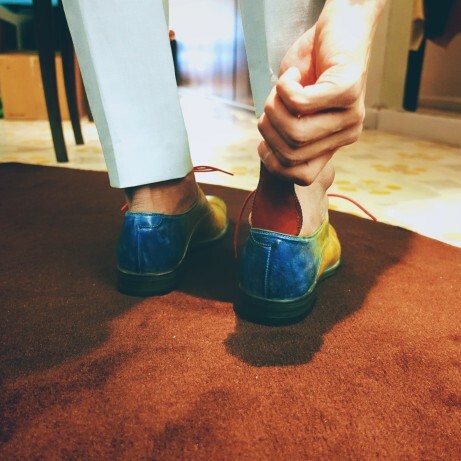 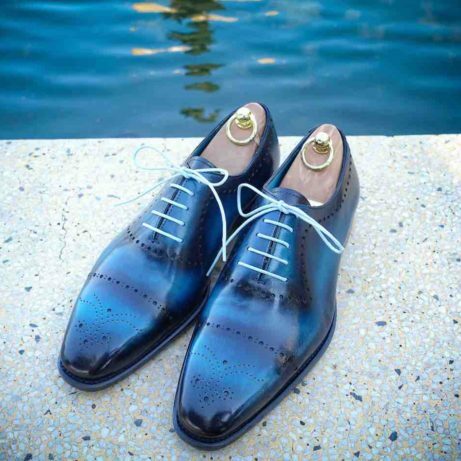 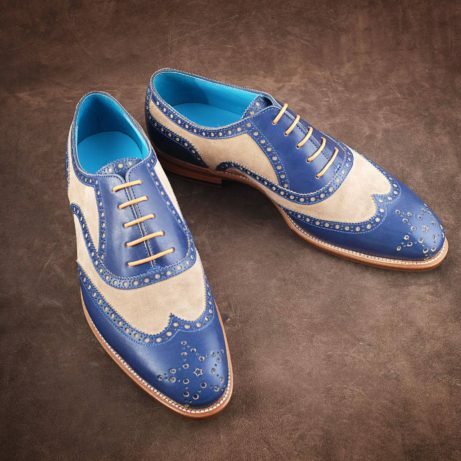 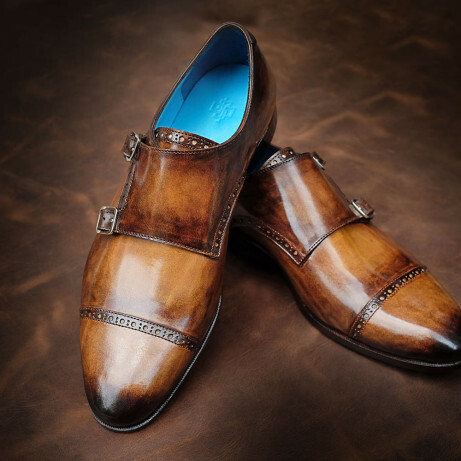 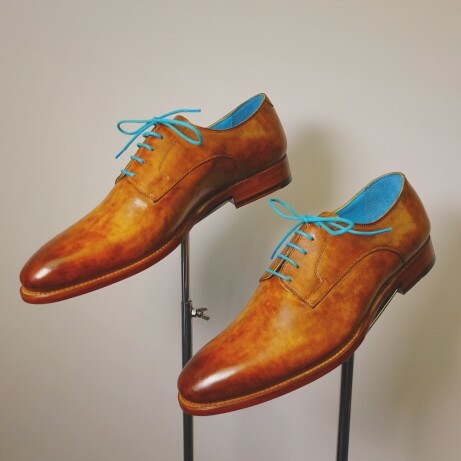 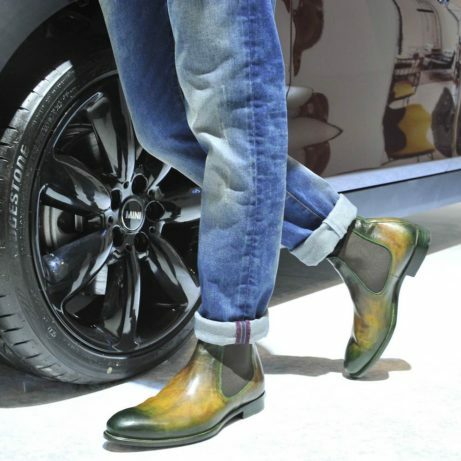 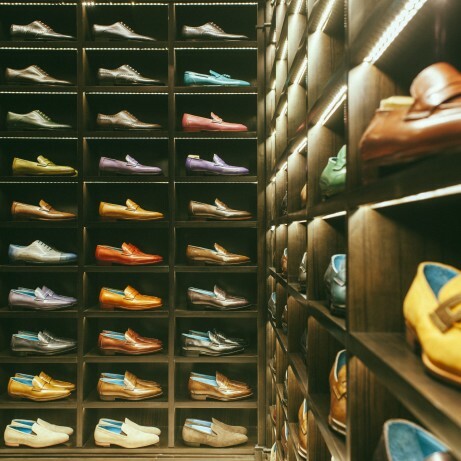 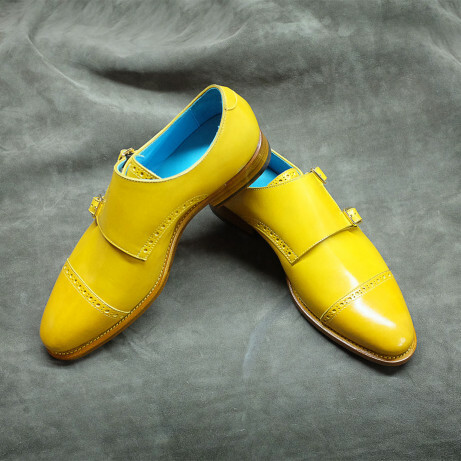 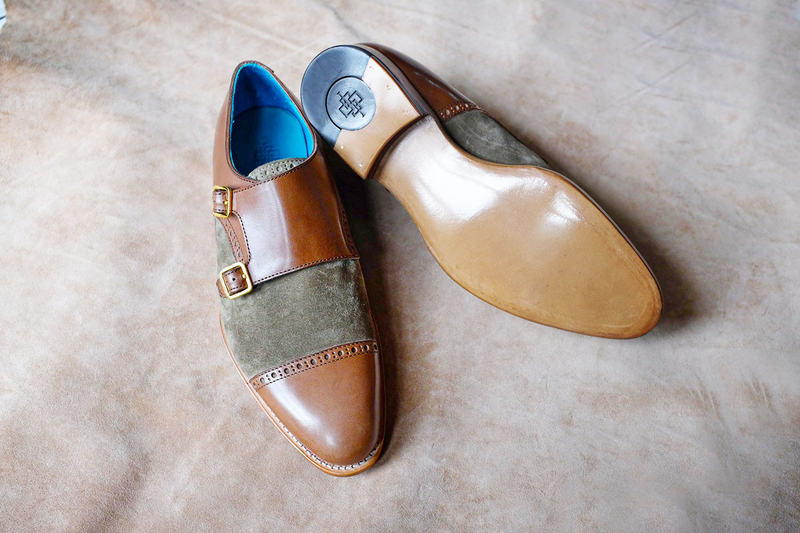 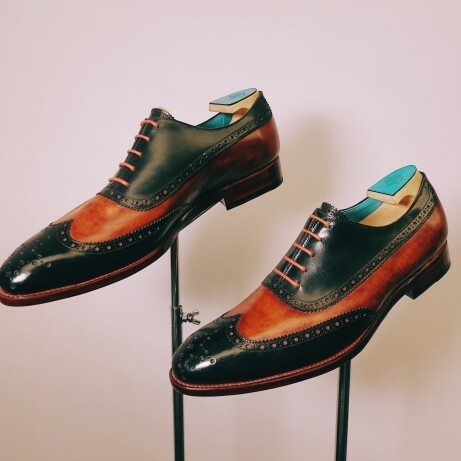 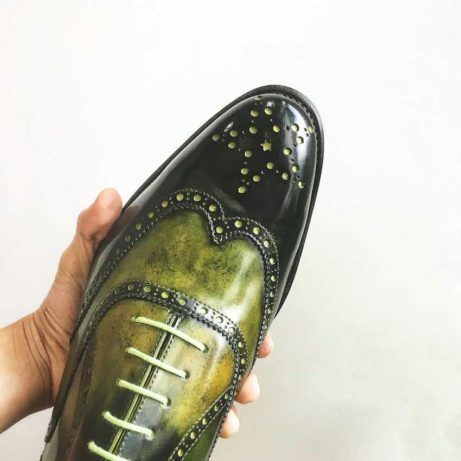 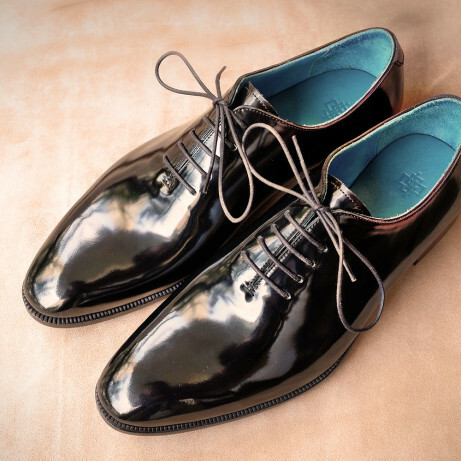 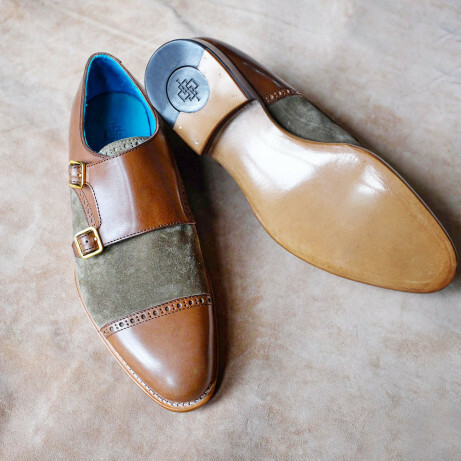 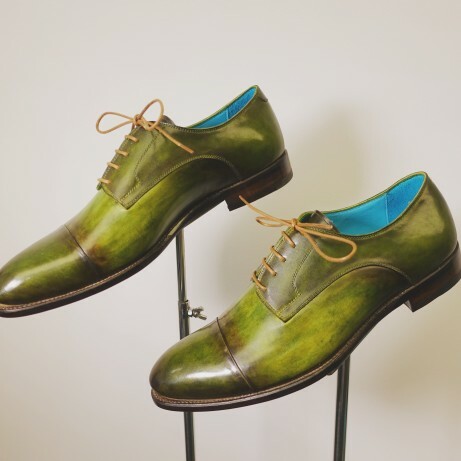 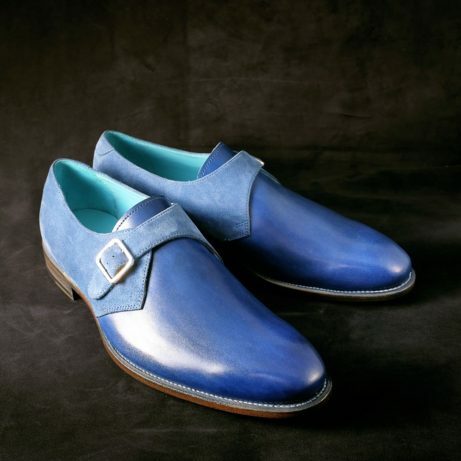 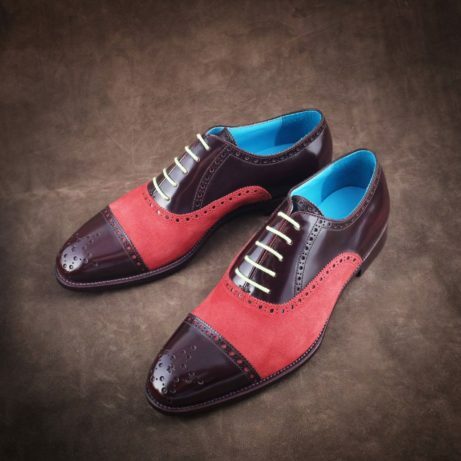 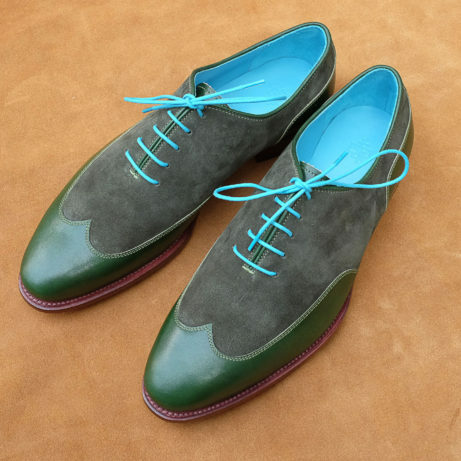 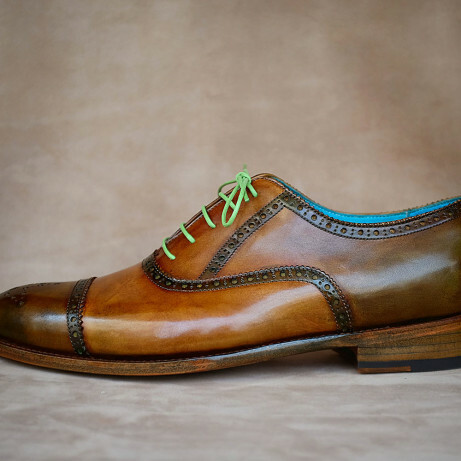 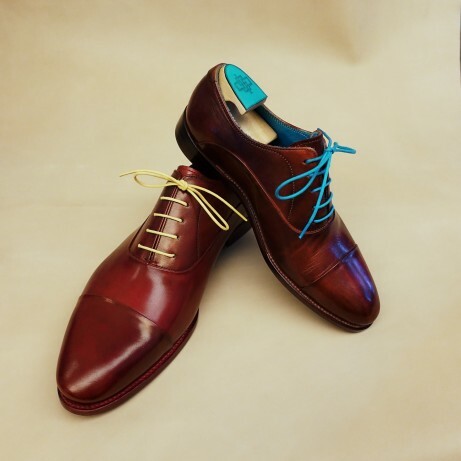 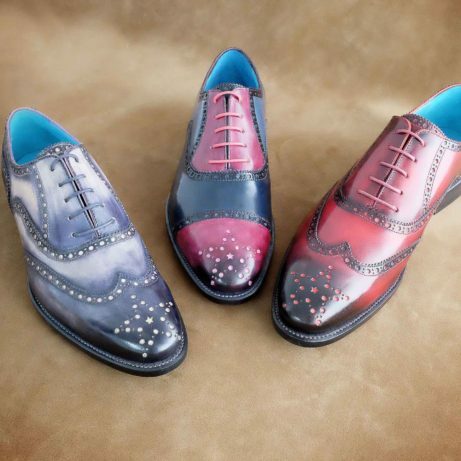 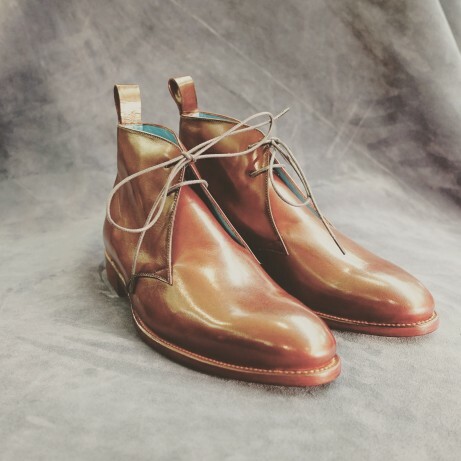 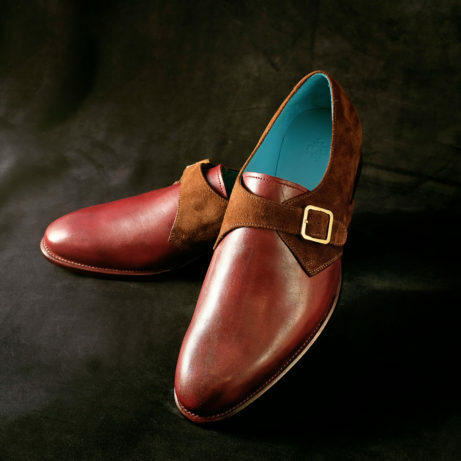 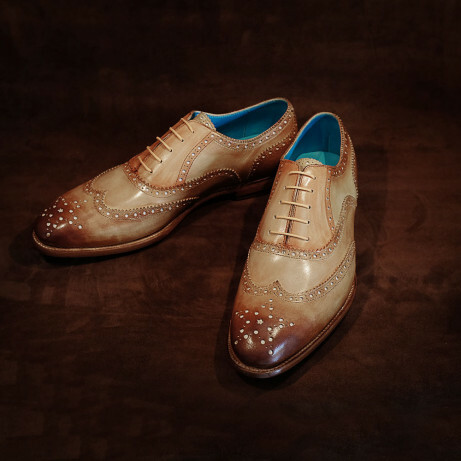 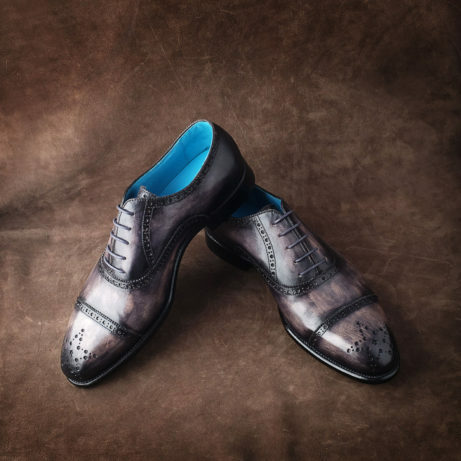 Goodyear monk shoes made by Dominique Saint Paul are hand crafted and hand coloured with patina. 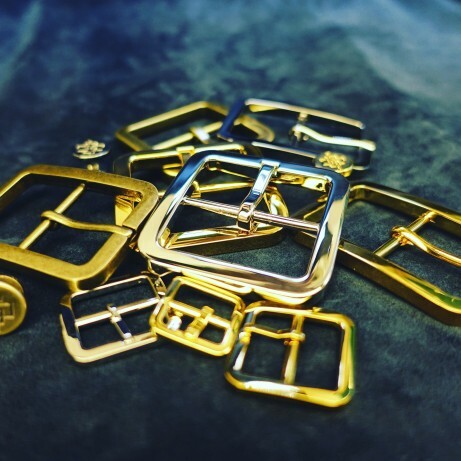 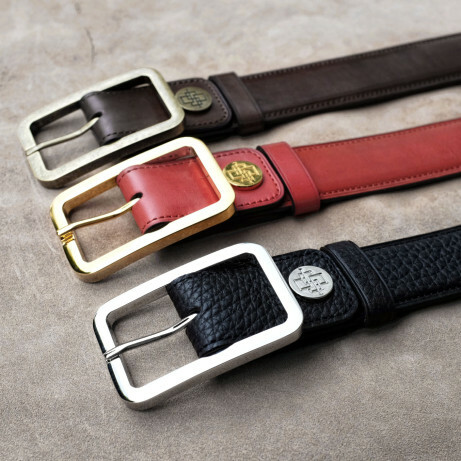 The buckles are custom made for us by a famous French hardware maker and you can chose from gold, palladium and antique brass. 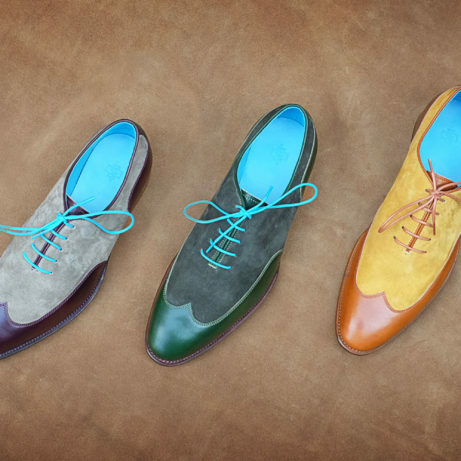 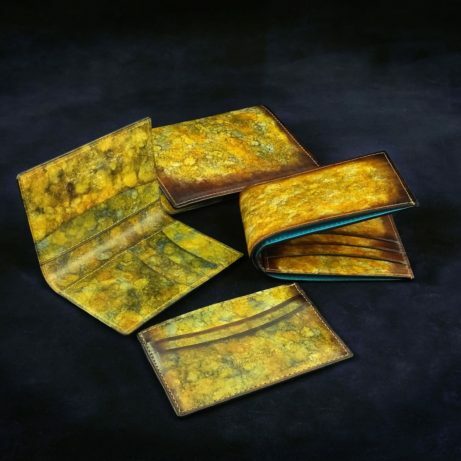 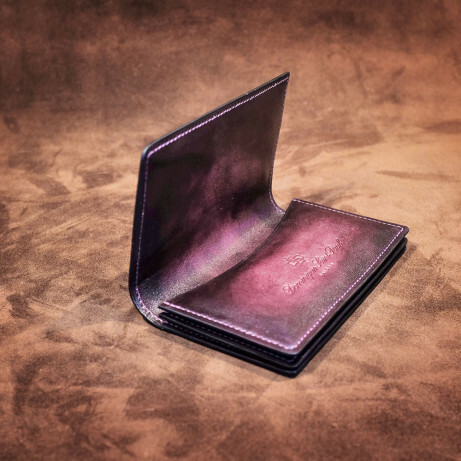 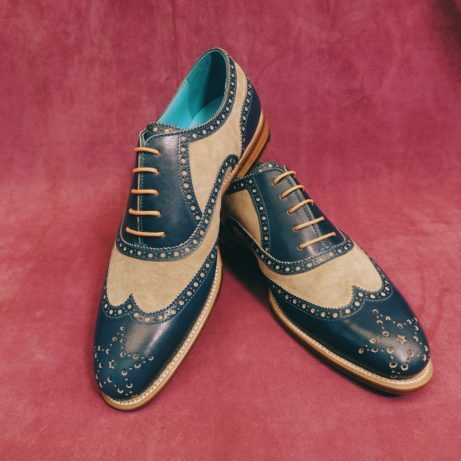 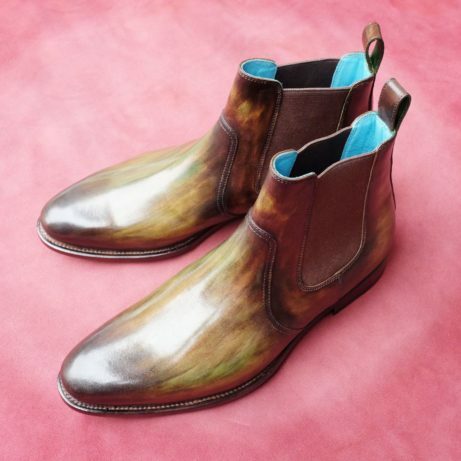 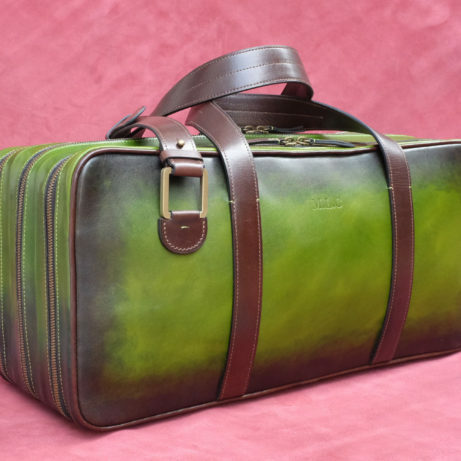 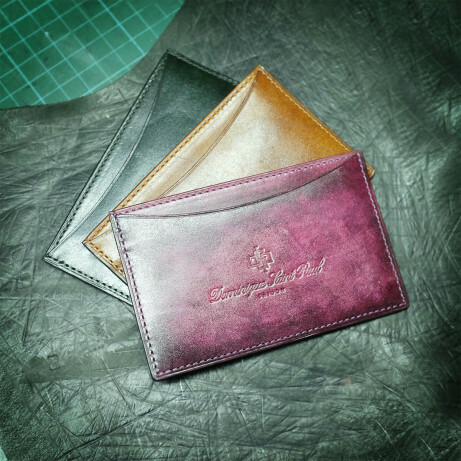 On your next pair why not mix suede and hand coloured leather? 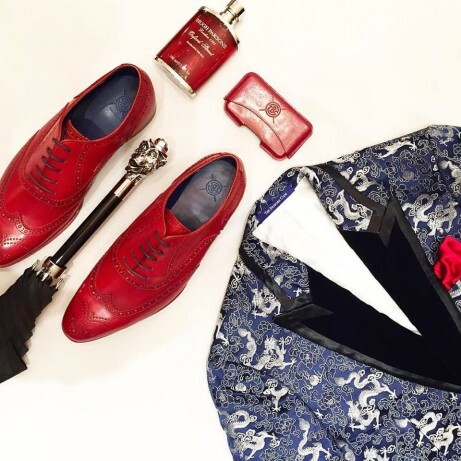 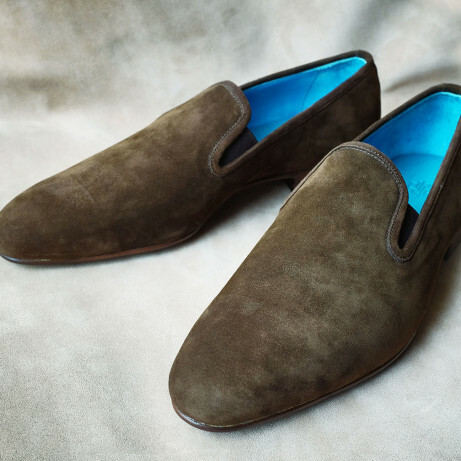 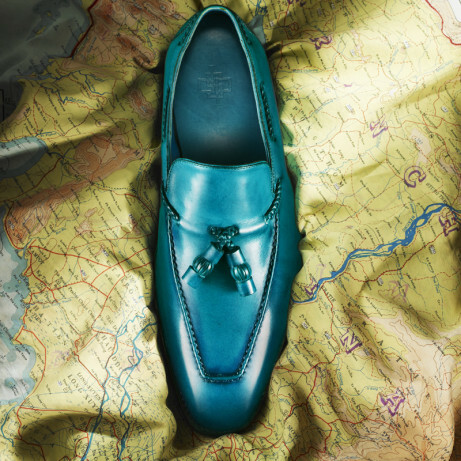 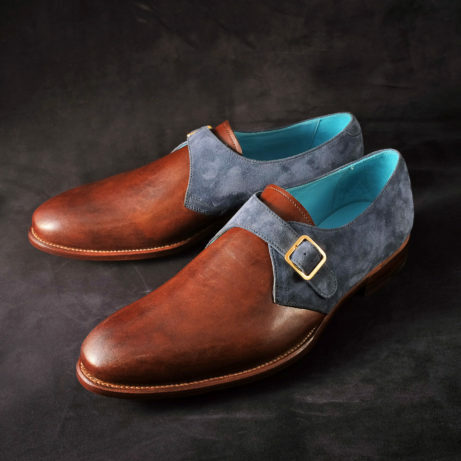 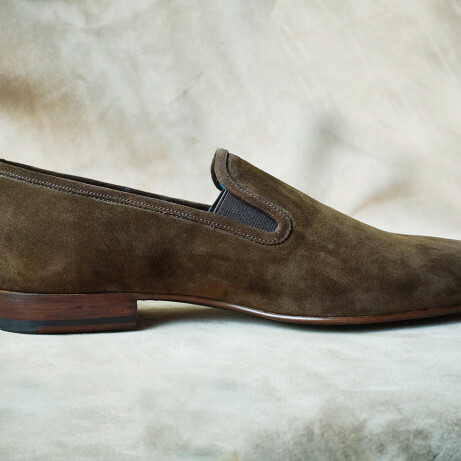 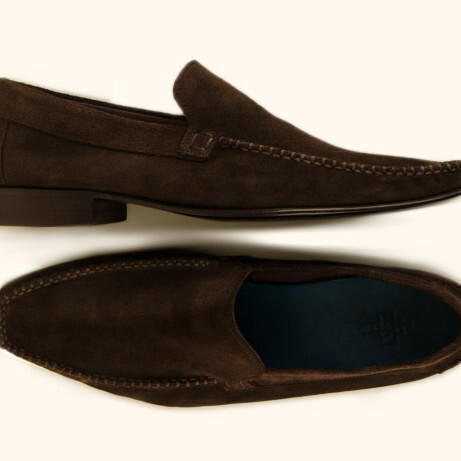 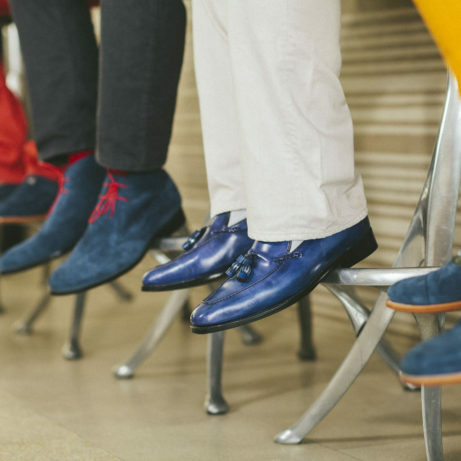 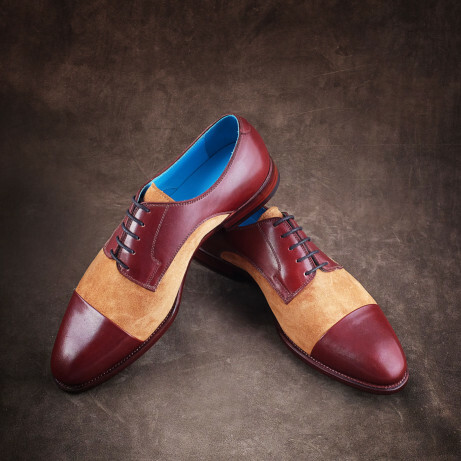 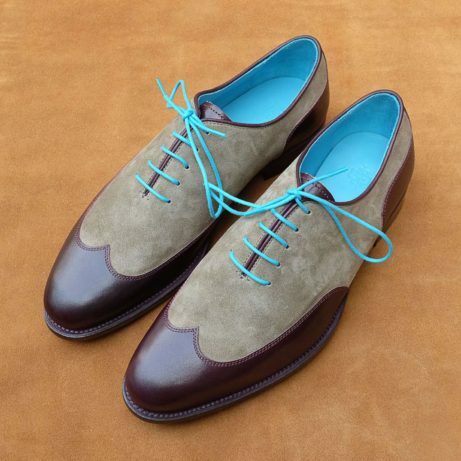 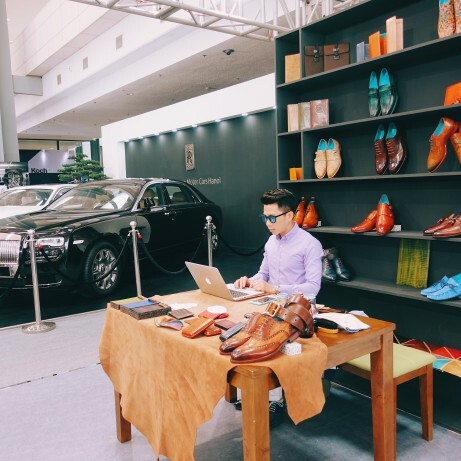 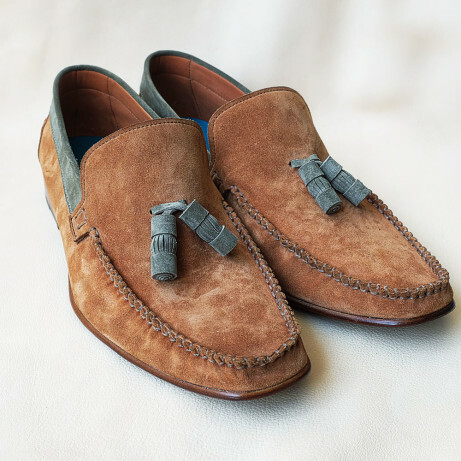 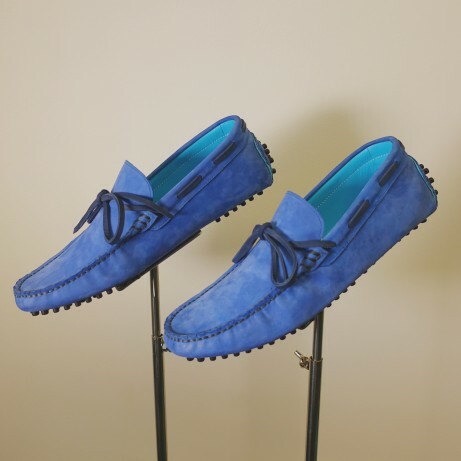 Here pictured just such a pair of double monk shoes in suede and hand coloured crust leather. 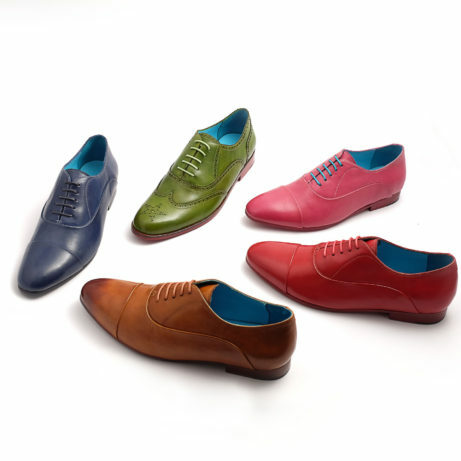 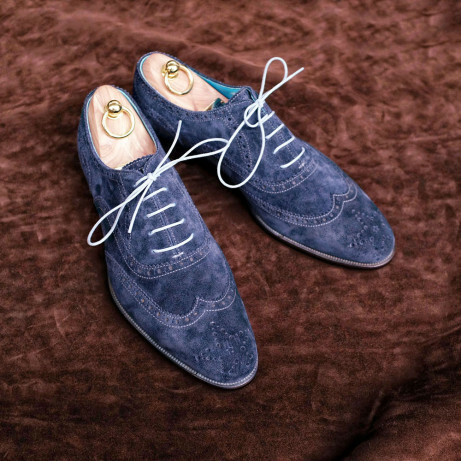 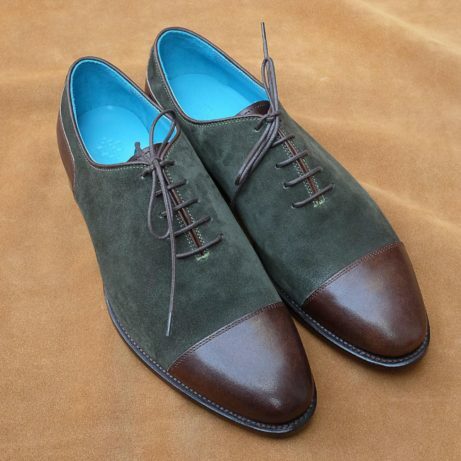 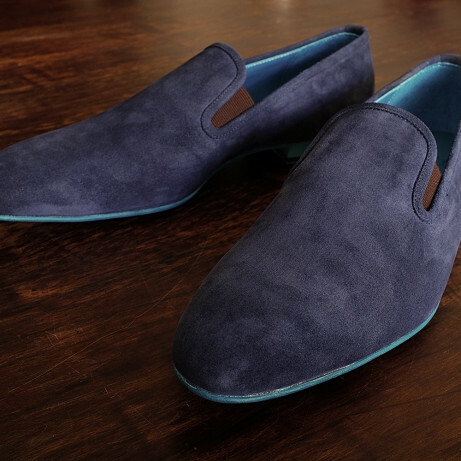 Suede is much more durable than you might expect and mixed with the hand coloured leather the shoes have a more special look. 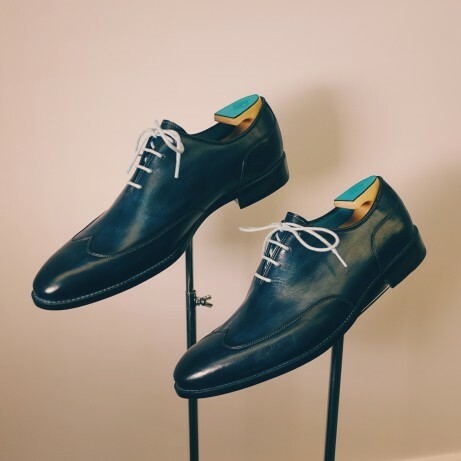 Our double monk shoes are Goodyear welted and have full leather soles and heels with rubber top lift pieces on the heels for extra grip. 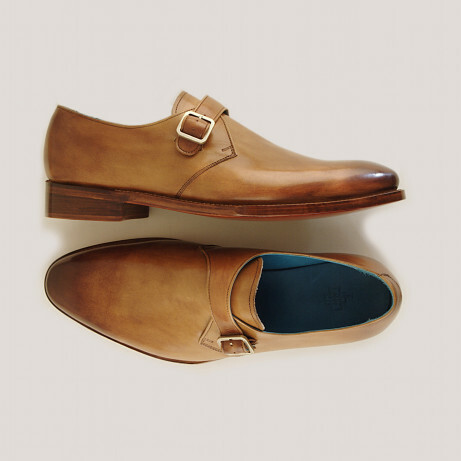 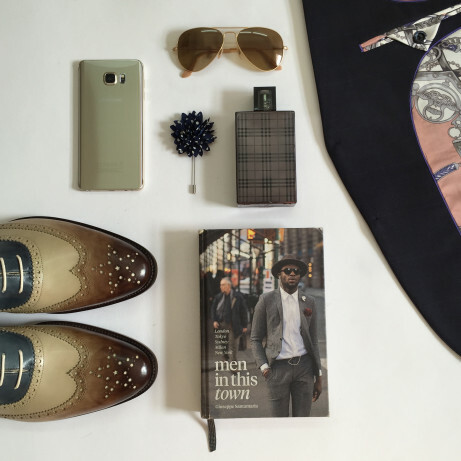 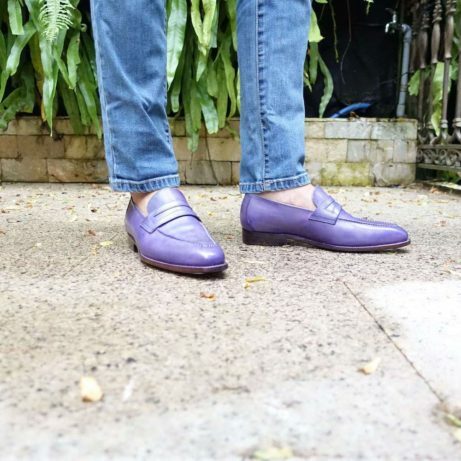 We have Goodyear monk shoes in our ready to wear collection. 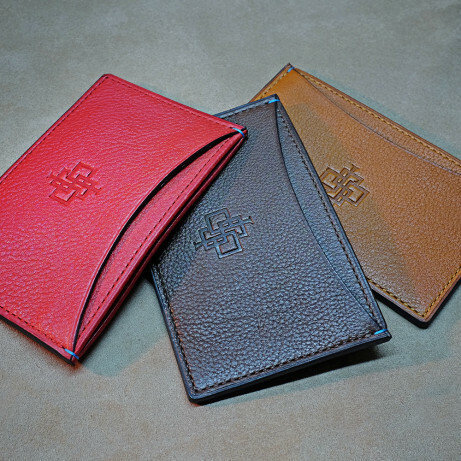 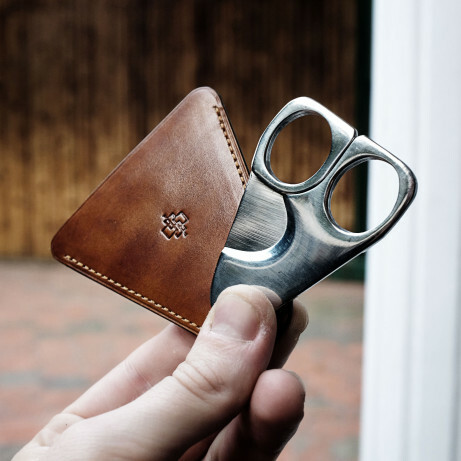 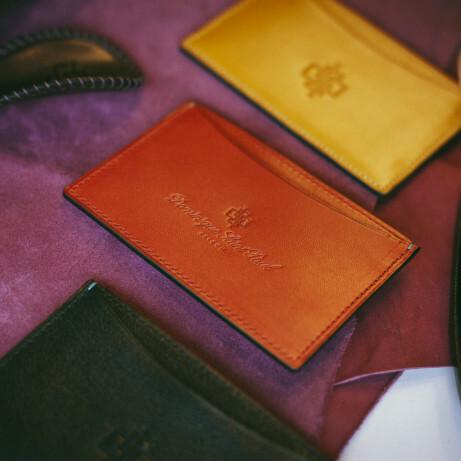 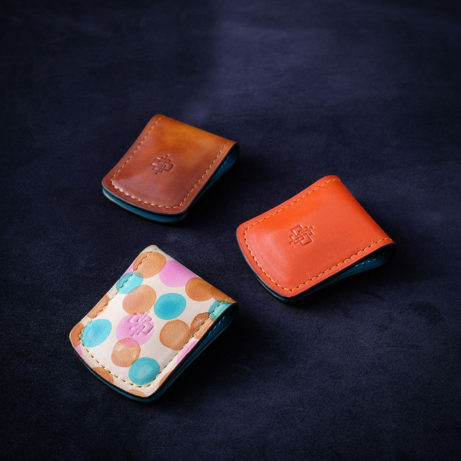 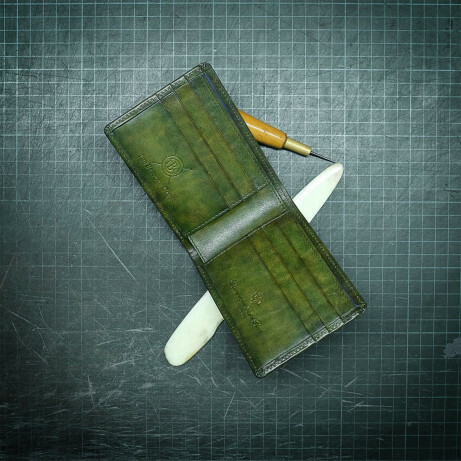 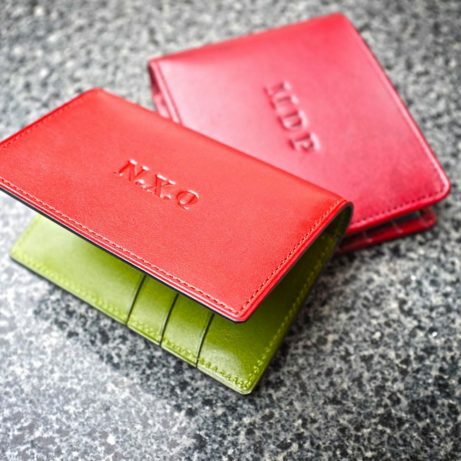 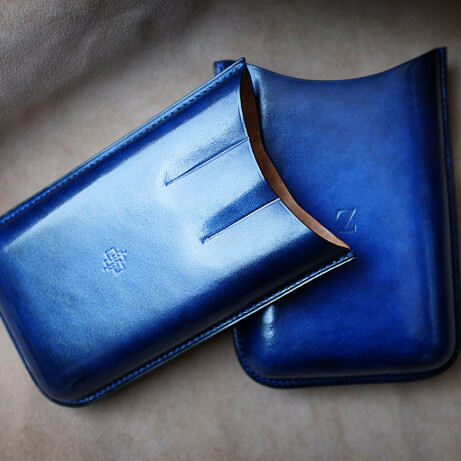 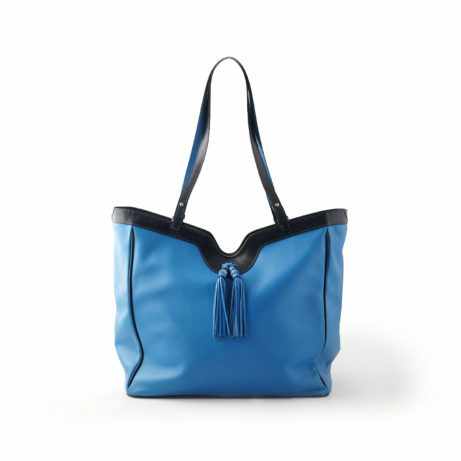 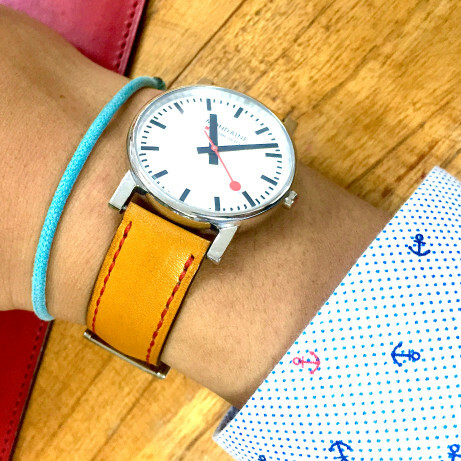 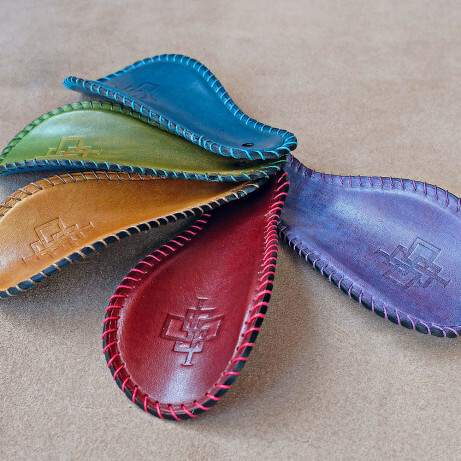 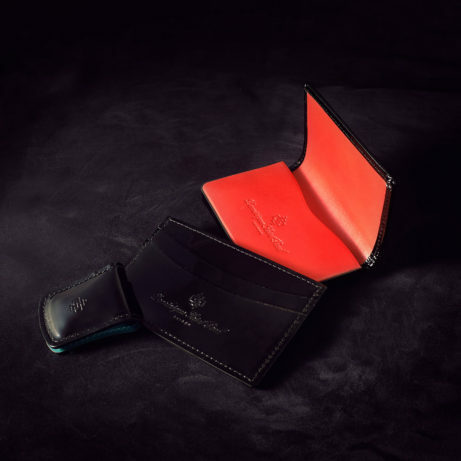 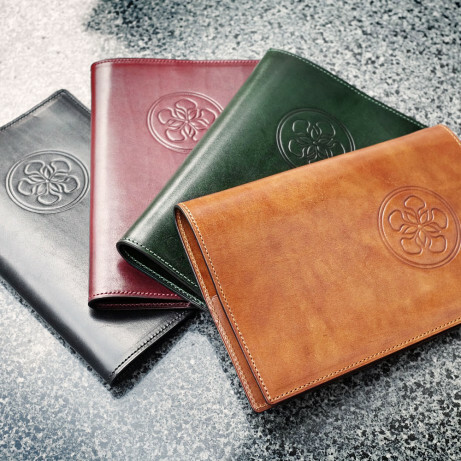 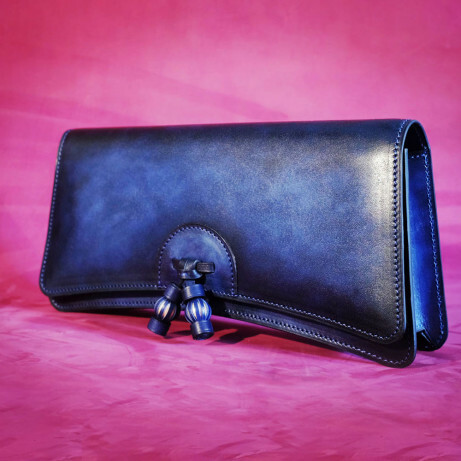 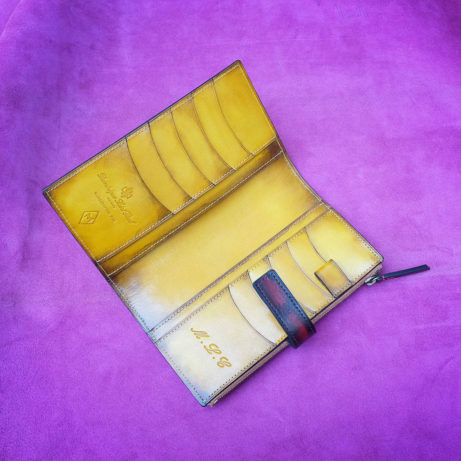 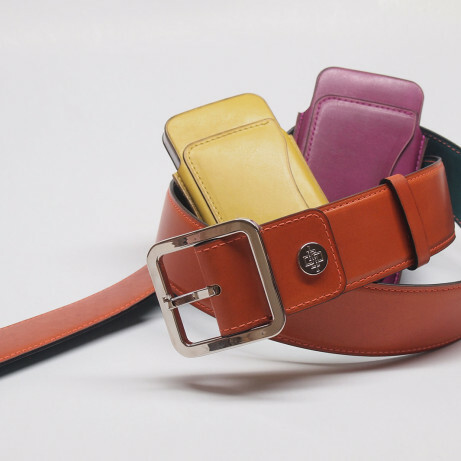 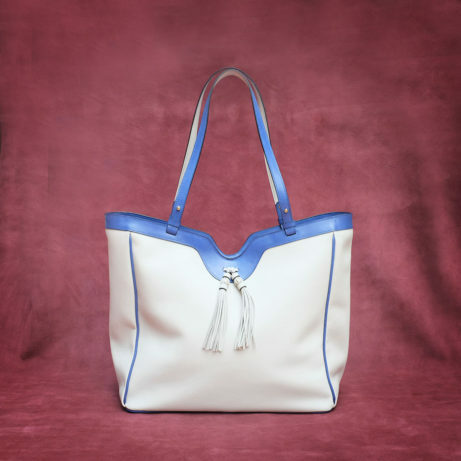 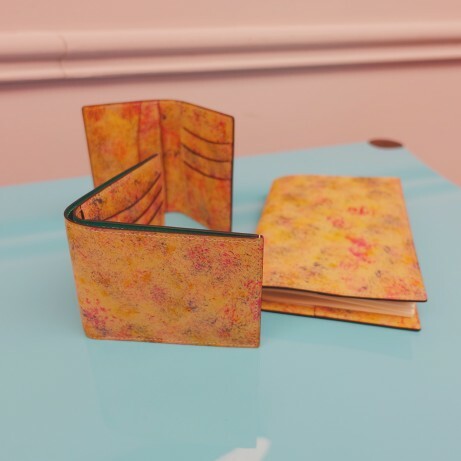 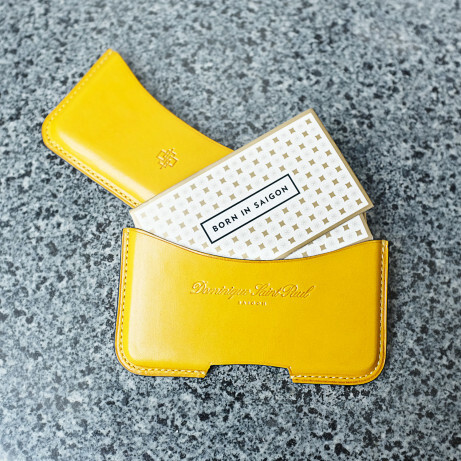 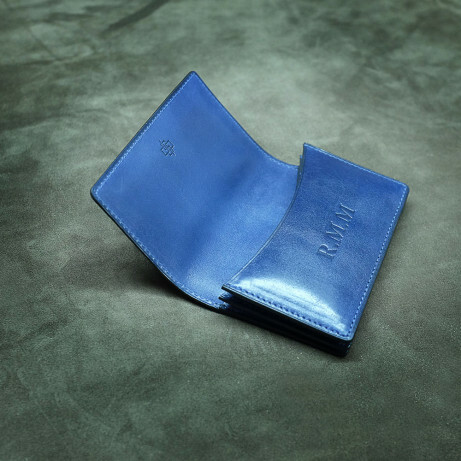 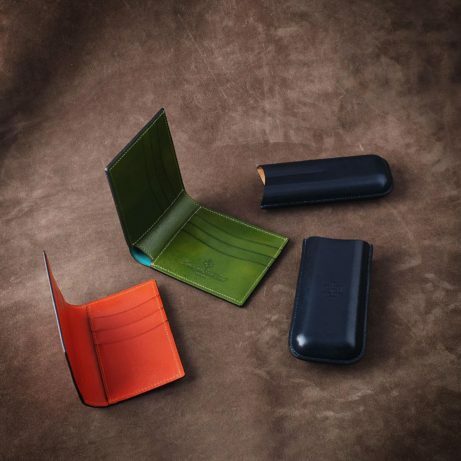 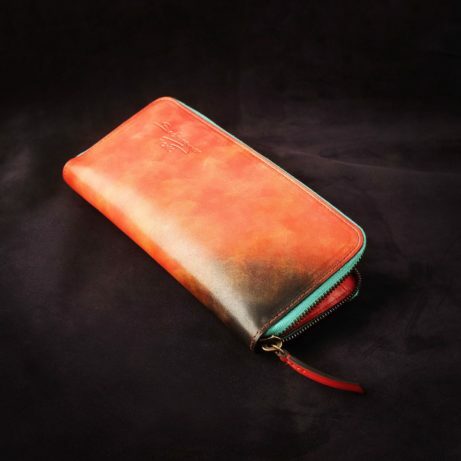 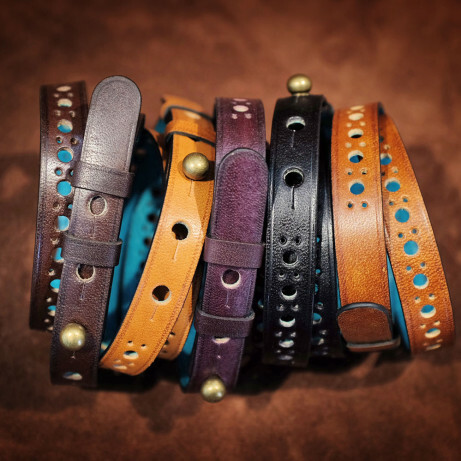 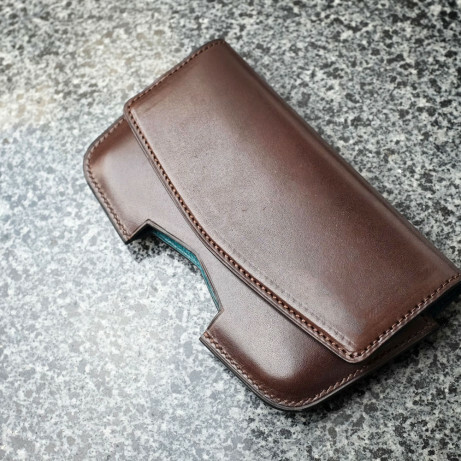 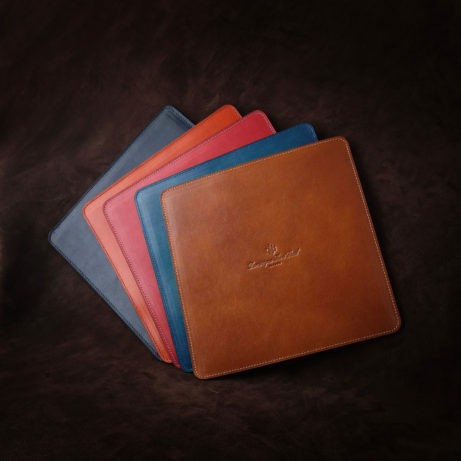 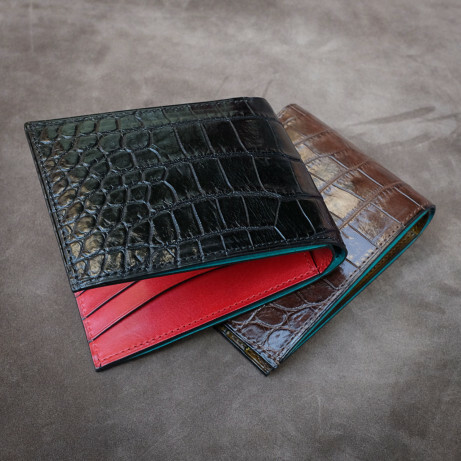 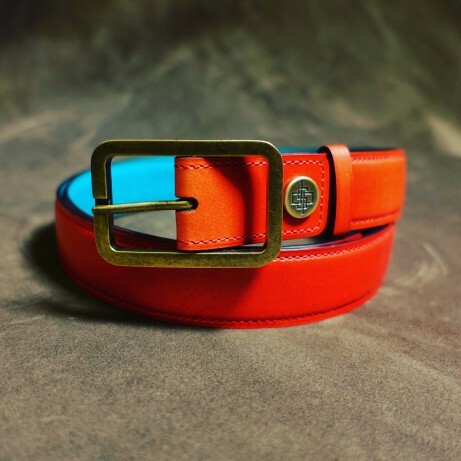 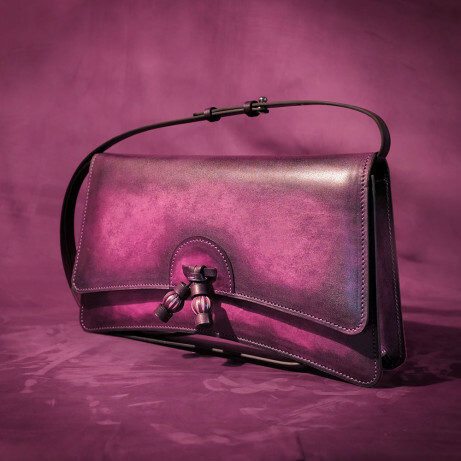 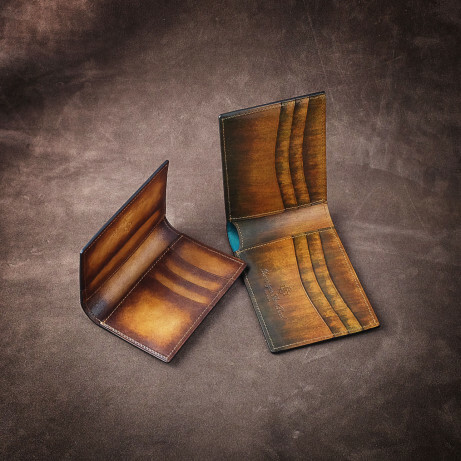 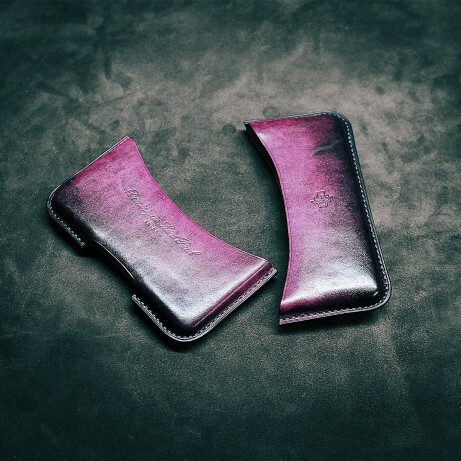 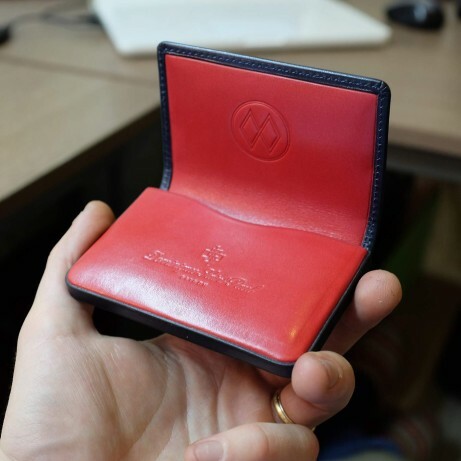 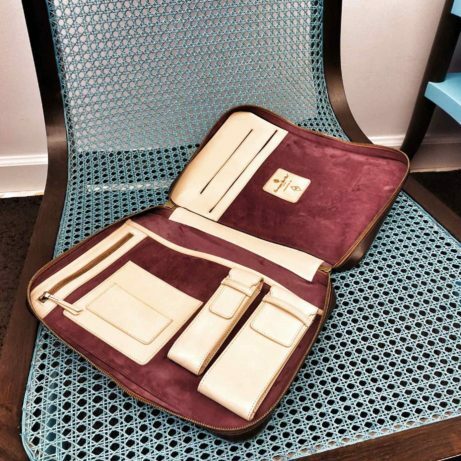 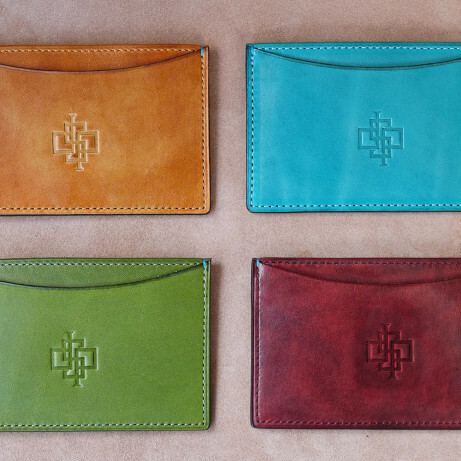 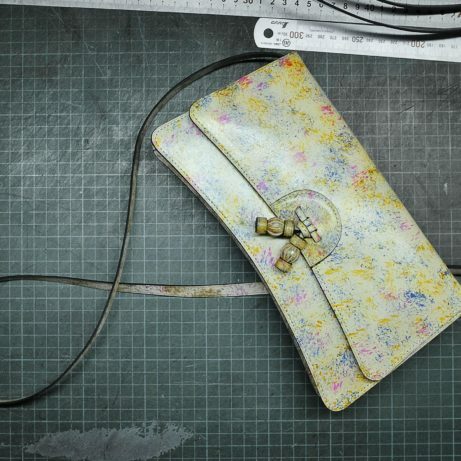 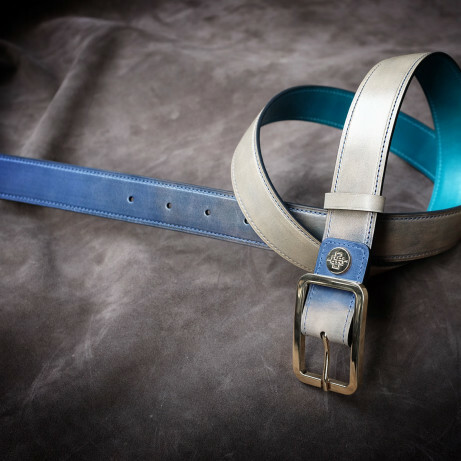 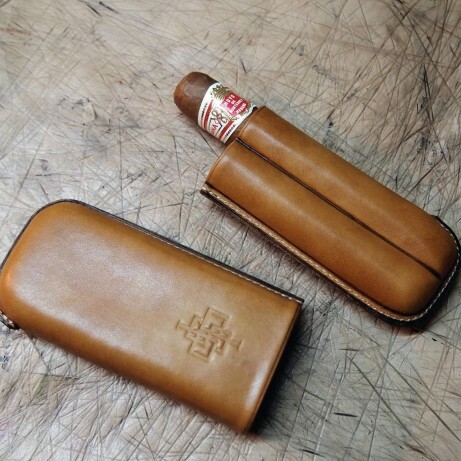 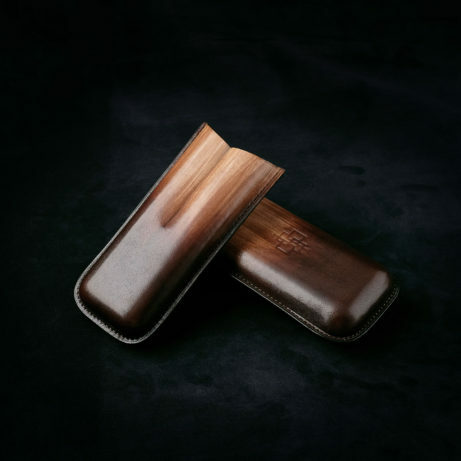 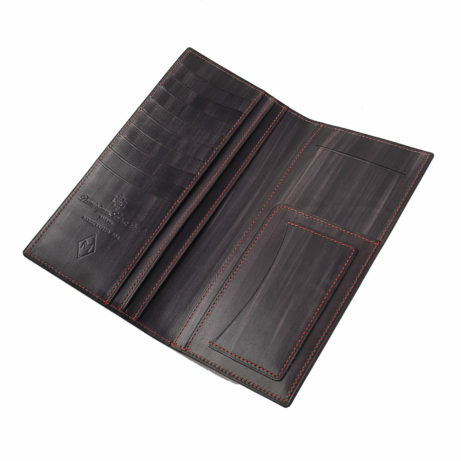 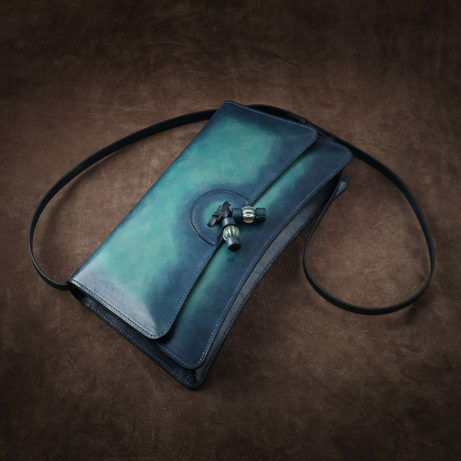 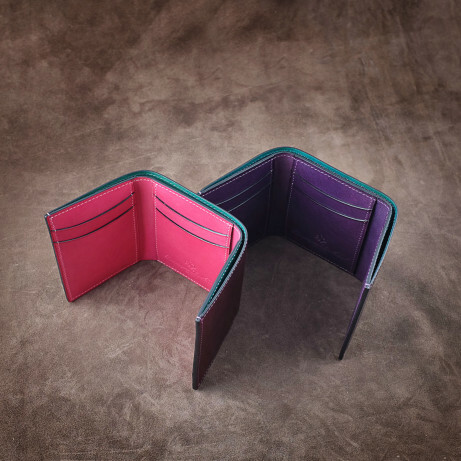 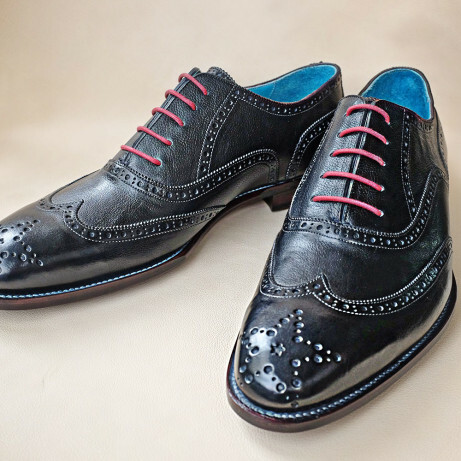 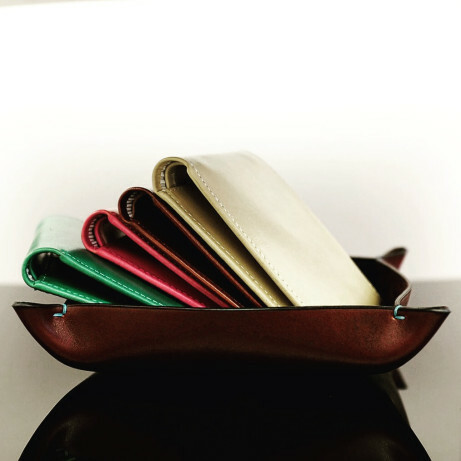 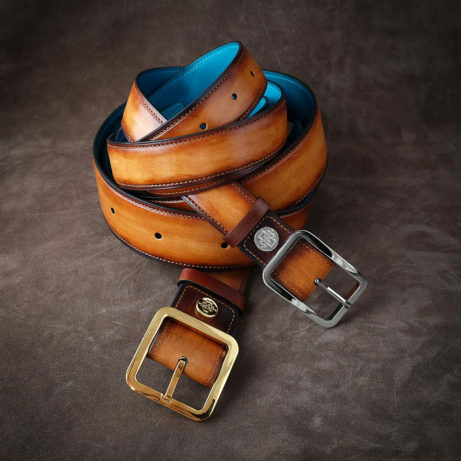 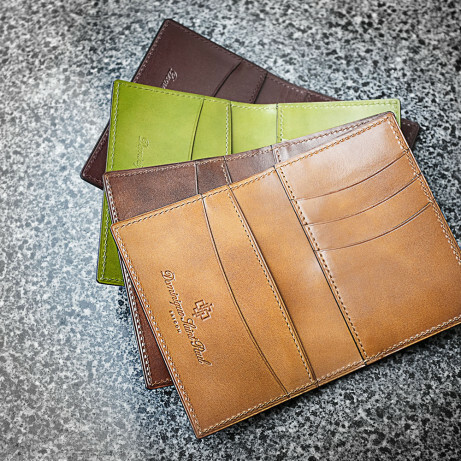 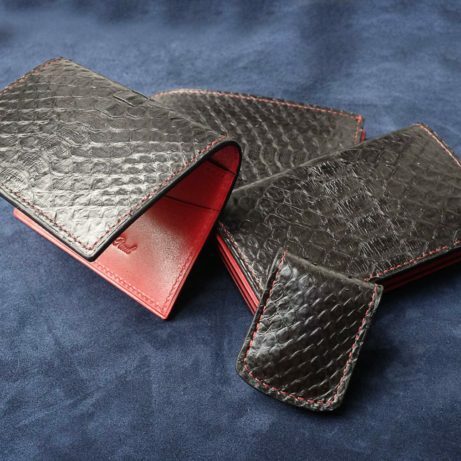 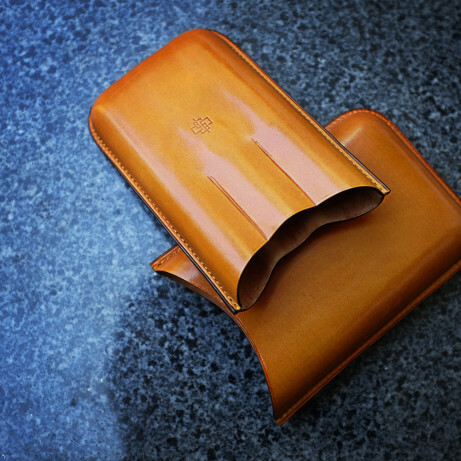 If you choose our made to order service you can choose the colours and the leather for the uppers. 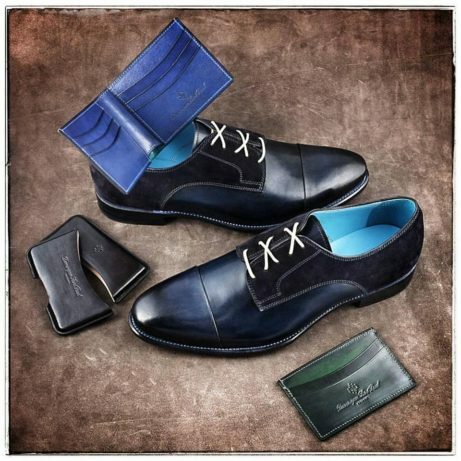 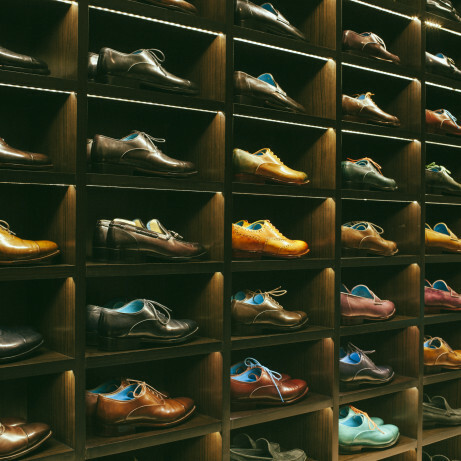 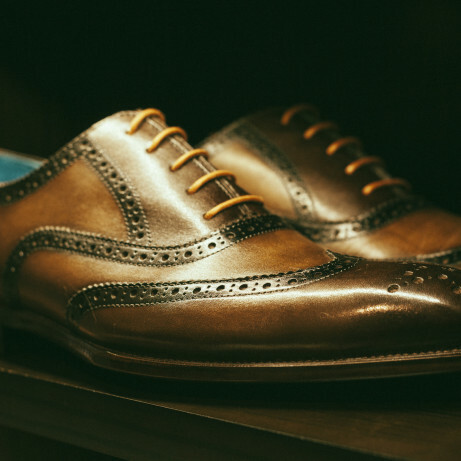 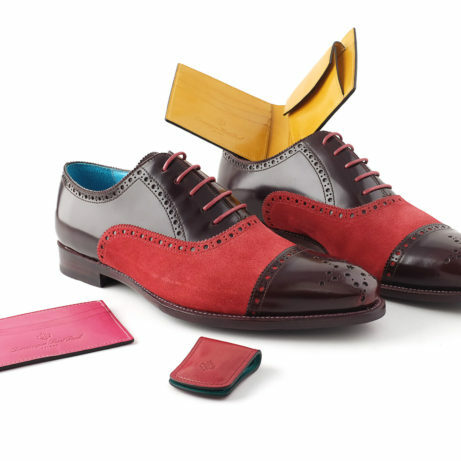 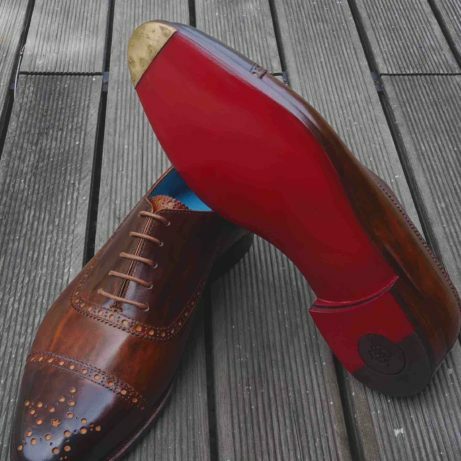 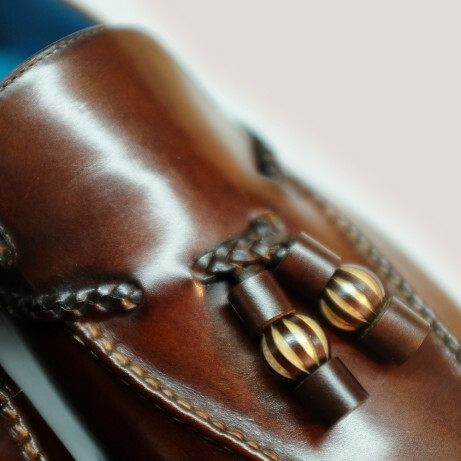 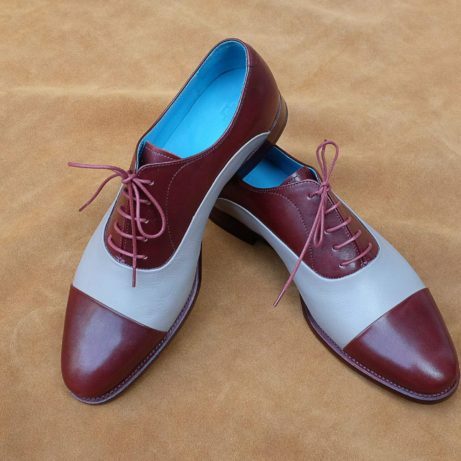 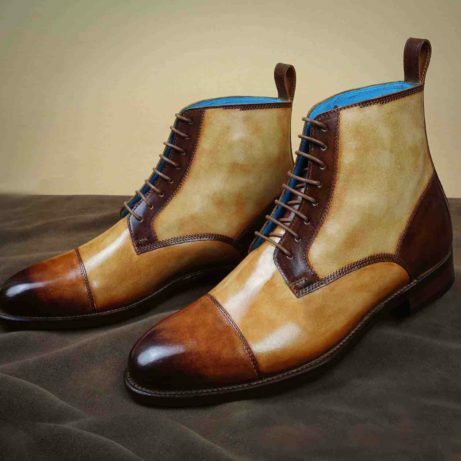 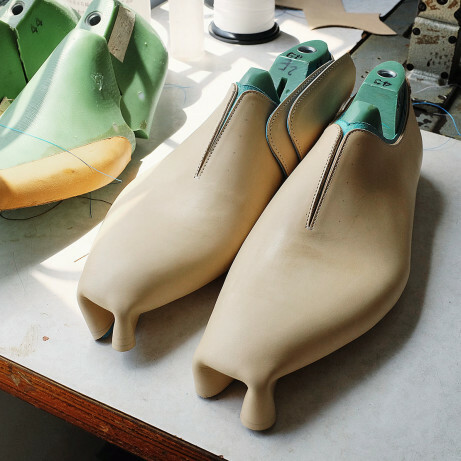 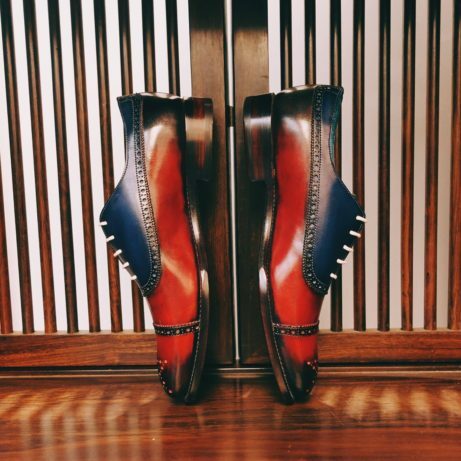 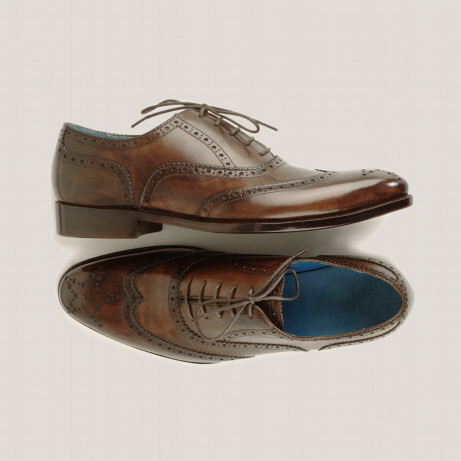 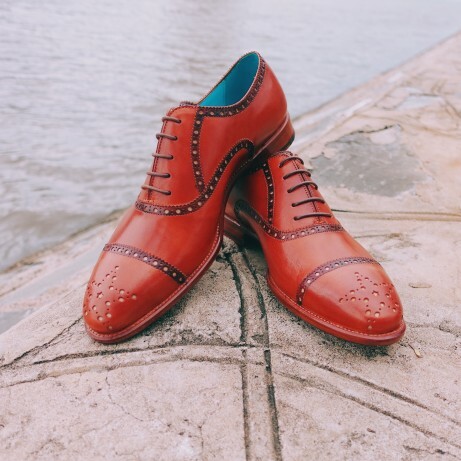 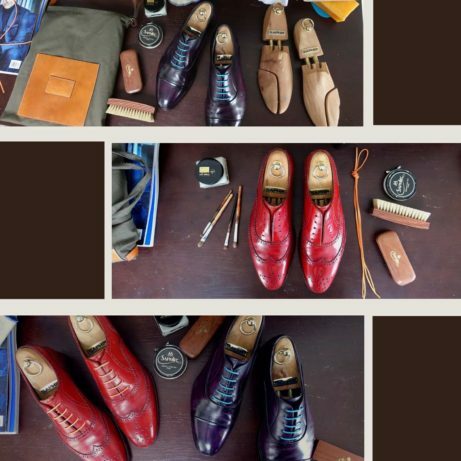 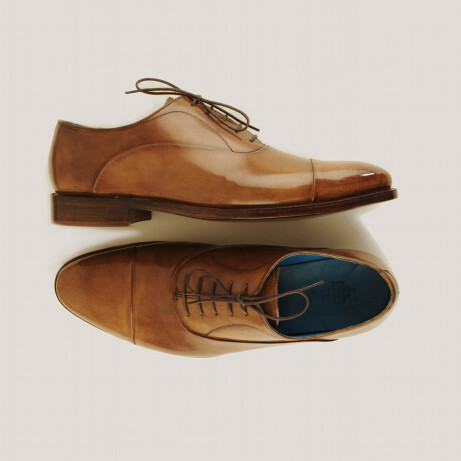 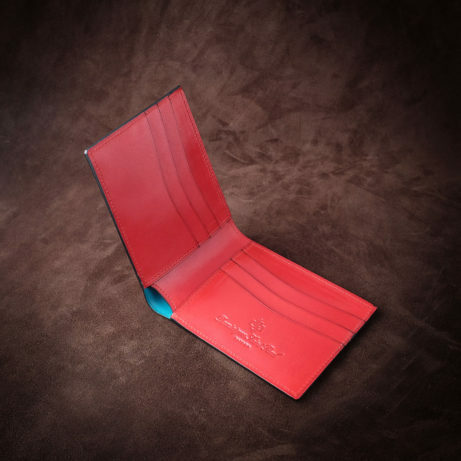 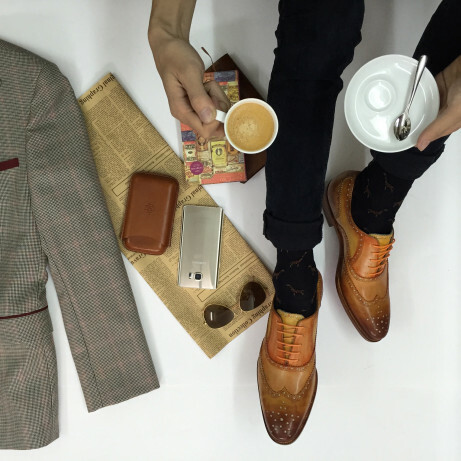 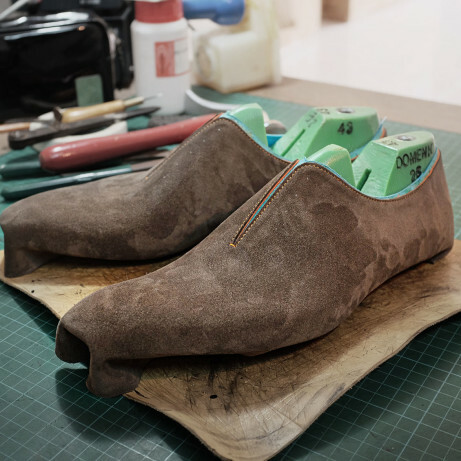 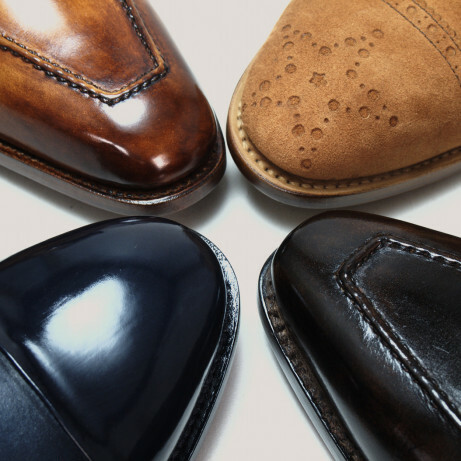 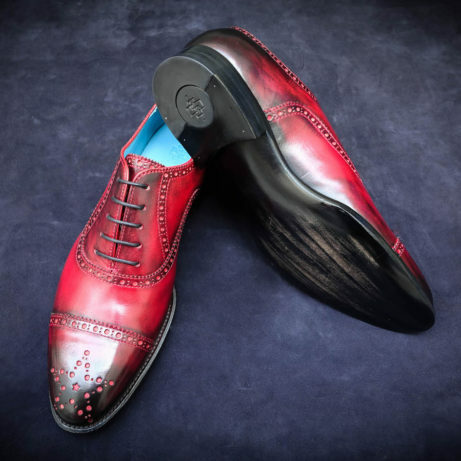 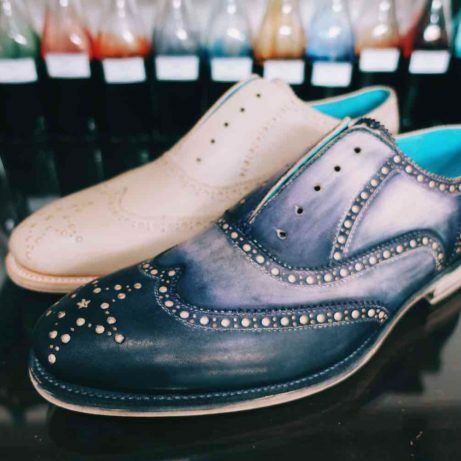 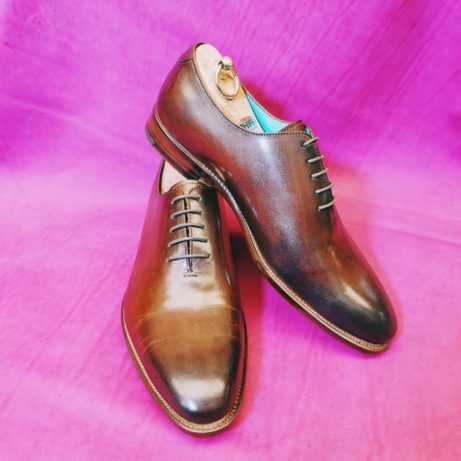 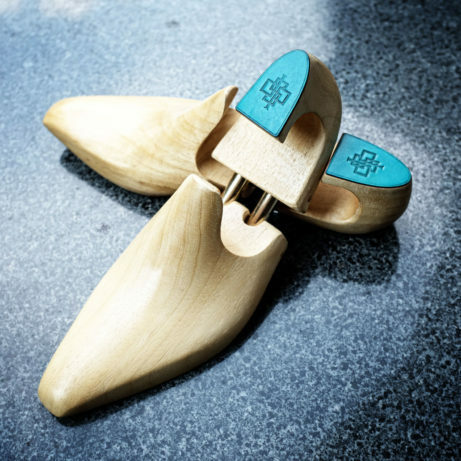 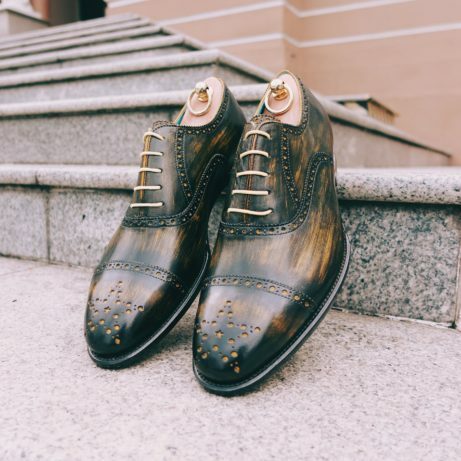 Even the leather soles can be made in a special colour just for you. 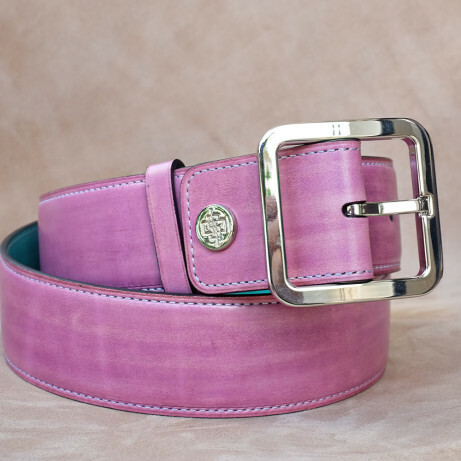 Made to order we also have 13 sizes and for each size 5 width fittings.